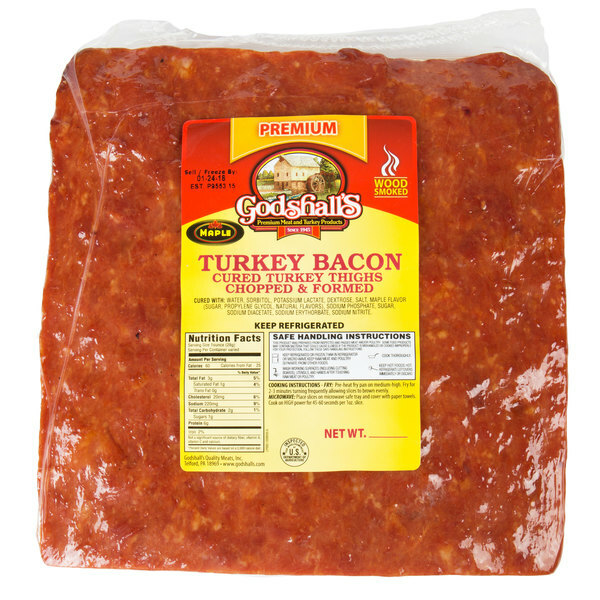 Give your health-conscious customers the sweet and smoky flavor they want, without all the fat, with this light and crispy Godshall's slab maple turkey bacon! This premium quality bacon is a flavor-packed, low-sodium alternative to traditional pork bacon. 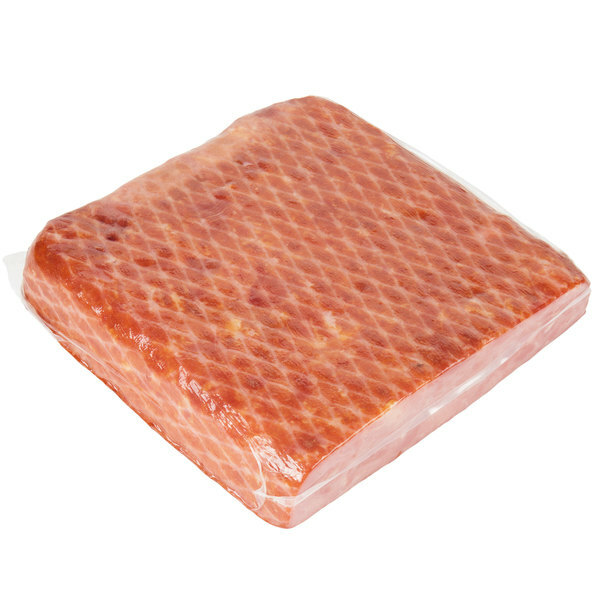 It's made from cured turkey thighs that are chopped and formed into a slab, great for slicing to the desired thickness. Serve it alongside fresh-cracked eggs and artisan toast in the morning or on a crispy BLT sandwich during lunch. 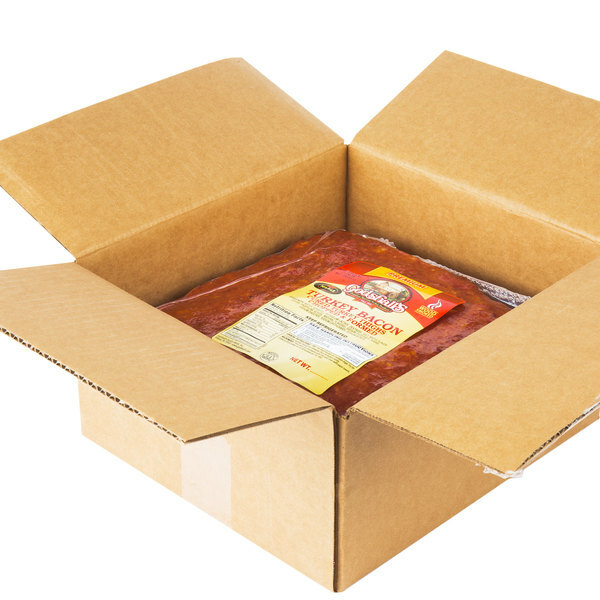 It's great for use atop juicy burgers or wrapped around chicken, seafood, or pork. With this bacon, your guests will get the savory meat they want, without the resulting regrets. This turkey bacon is a great substitute for pork bacon, with an added maple flavor. To cook, pan fry for 2-3 minutes over medium-high heat, turning frequently to allow the slices to evenly brown to a nice, golden-brown caramel color. Alternatively, this bacon can be cooked in the microwave on HIGH power for 45-60 seconds per 1 oz. slice. Because turkey bacon has a low fat content, regardless of how you cook it, it will not shrink as much when cooked, giving you a higher yield in comparison to pork bacon. Godshall's is your source for premium meat and specialty items. With state-of-the-art facilities in Telford and Lebanon, Pennsylvania, Godshall's ensures the cleanliness and quality that you've come to expect, with the small-town legacy that sets them apart. This third generation supplier continues to thrive, expanding from a single butcher's shop with two employees in 1945 to landmark company with a name you can trust. When looking for quality, dependable meat and specialty items, turn to Godshall's.